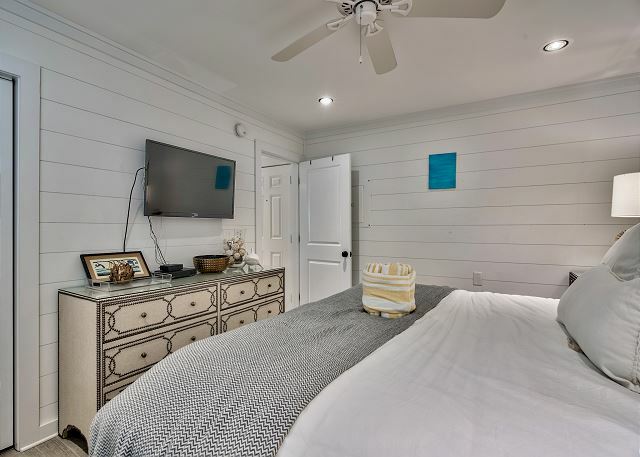 This property is just east of Seagrove Beach and west of Camp Creek, "in the middle of it all" that Scenic 30A has to offer! 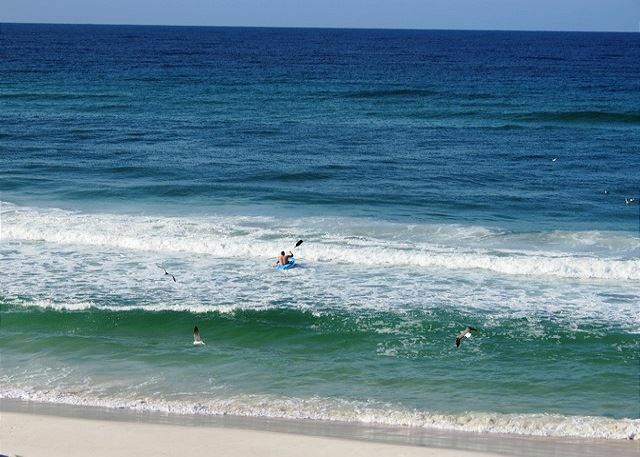 Of course the beautiful beaches are the top attraction, but Seagrove is also home to 2 coastal dune lakes (Eastern Lake and Deer Lake) that are perfect for kayaking, paddle boarding, and eco-sploring. Just like the rest of 30A, Seagrove is also home to many locally owned restaurants showcasing the local catch, boutique and specialty shopping venues, several golf courses are nearby, and the convenience of a full service Publix (grocery) store is tucked away behind the lush greenery the community has to offer. We appreciate having you all as our guests and we're delighted to know that you so enjoyed this beautiful beach front condo! We are glad you appreciated the fresh design of the home and that you found the furnishings very comfortable and well functioning. It's also great that you all enjoyed the wonderful dining options nearby, and the beautiful beaches of course! We're sorry to hear that you had issue with any area vendors and we would sincerely hope for you to give our local office an opportunity to assist you with finding additional options for renting of recreational services. We are always happy to assist our guests in any way possible because we desire each of our guests to have a worry free vacation. We hope to welcome you all back again soon for another beach getaway on 30A! This is our 3rd year to stay at Ramsgate #1. That in itself shows how much we enjoy this condo and the location. We had a wonderful stay as always and plan to be back next year. Thank you for sharing your review for Ramsgate #1 on 30A. We are so pleased to know that you all enjoyed your stay in this home so much that you have been our guests here 3 times and that you all are already looking forward to #4! We look forward to welcoming you all back again soon here on the Emerald Coast of Florida. Ramsgate #1 is a condo worth returning to! 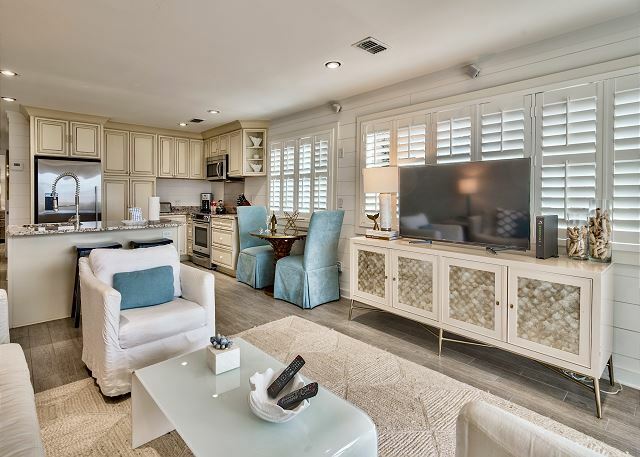 Beautifully decorated condo provides a beach and relaxing feel. 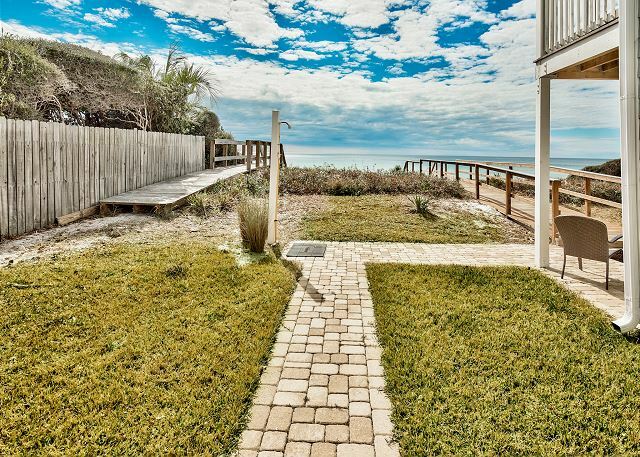 Right on the beach where you can hear the ocean waves, walk out your back door and down the steps to the sand and surf. Bed was very comfortable. 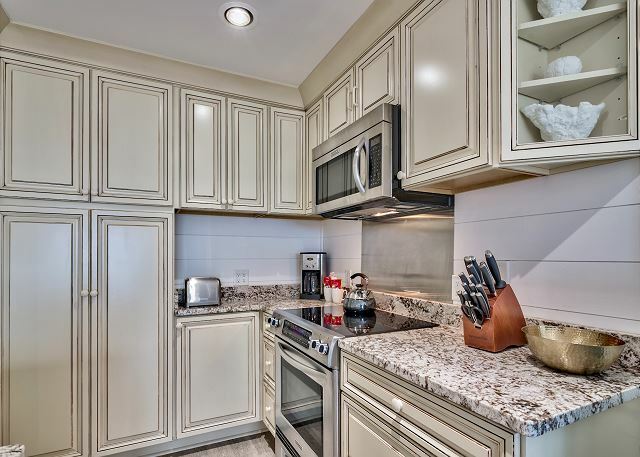 This condo appears to be newly renovated and looks magnificent. Loved our time here! Thank you for sharing your review. 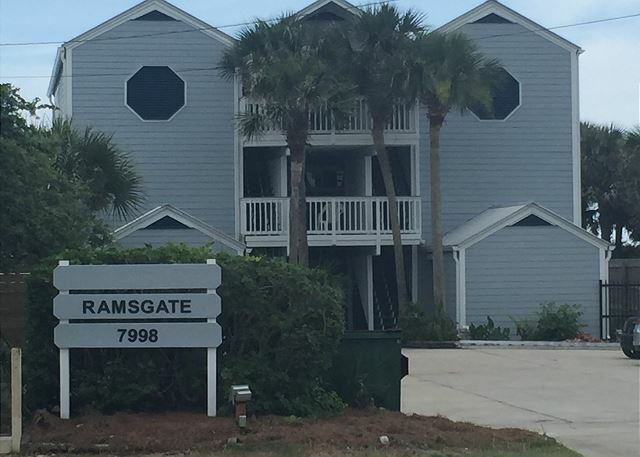 We are delighted that you all had a wonderful beach vacation in this beautiful beach front condo! We hope to welcome you all back soon as our guests here at Ramsgate #1 on 30A! So glad you enjoyed your stay. We hope to see you back soon! Everything about this property was amazing! It was so comfortable and felt like home every time we walked in. It was very clean, beautifully decorated and the kitchen had everthing we needed. The bed was so comfortable to us that we are looking into getting the same brand for ourselves. I am so excited to be staying here again next year! Also, the people working at Harmony Beach Vacations and the owners were absolutely fantastic! We truly couldn't ask for a better company to rent from. Thank you! We are so glad you enjoyed your stay, we hope to see you again soon! My new favorite place to stay. Stunning condo. Beautiful furnishings. Clean, bright and airy. Will be staying there again. 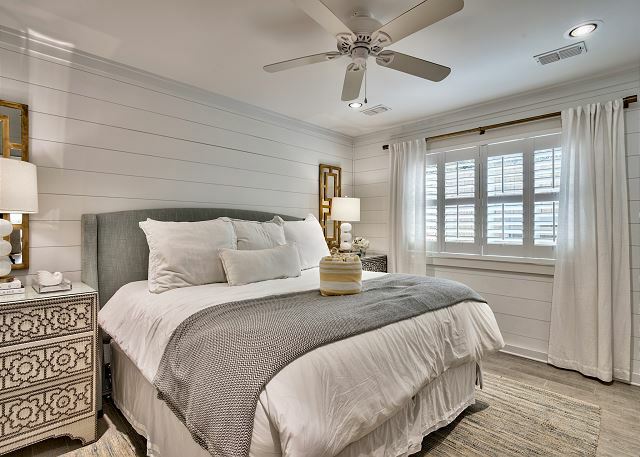 We thank you for sharing your review for Ramsgate #1 on 30A. We are delighted to know that you all so enjoyed your stay and that this beautiful beachfront condo is your new favorite place to stay! We look forward to welcoming you all back again as our guests here on Florida's Emerald Coast very soon! My husband and I stayed in Ramsgate 1 from August 4-11 for our honeymoon and we absolutely loved it! Everything was beautiful and clean. The direct private access to the beach was so convenient. We had key-less entry to our property so we never actually met management staff in person but they were all so helpful throughout our email and phone communications. This was definitely a great trip and we couldn't have picked a better location for our honeymoon. It was a quiet area with an easy drive to both Destin or Panama City. We will definitely be back! Thank you for sharing your review for Ramsgate #1. 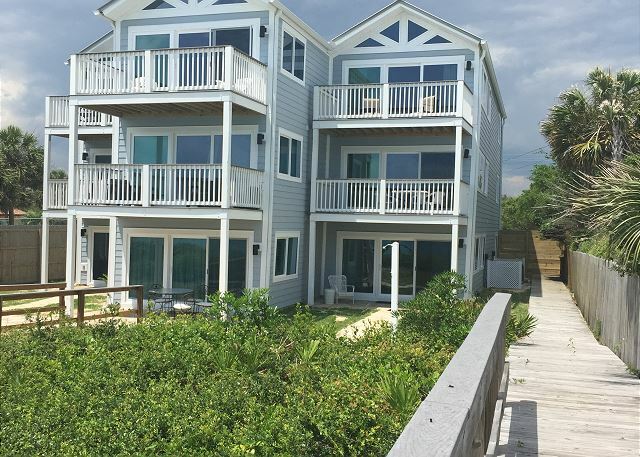 We are so pleased to know that you all had such a pleasant honeymoon beach vacation stay in this beautiful home at the beach! We thank you for your kind words for our team, and we are so happy to hear that you were pleased with our services. We hope to have you all back again real soon as our guests here at Ramsgate on beautiful scenic Hwy 30A! Ramsgate 1 was delightful. The condo is decorated beautifully and has everything you need. 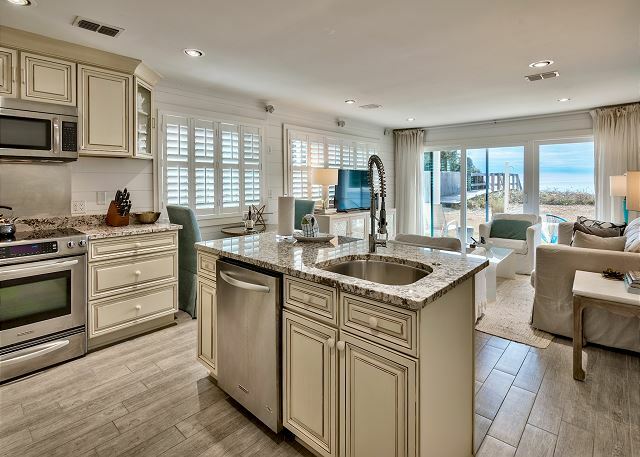 It's right on the beach, so you hear the ocean from the patio. Harmony Beach Vacation property management was so informative and helpful as well. I cant's say enough good things about both - the condo and the management. We will definitely be coming back. Thank you for sharing your review for Ramsgate #1 on 30A. 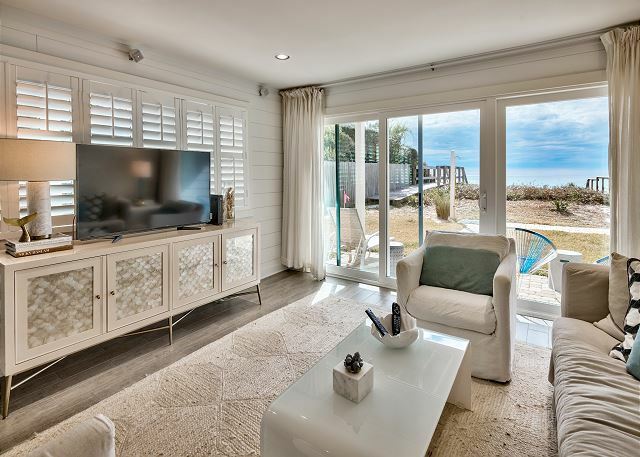 We are so pleased to know that you all had such a wonderful stay in this beautiful beachfront condo and that you appreciated the soothing ocean sounds! We also are very appreciative of your kind words for our Harmony Beach Vacations team! We strive to ensure that our guests have an enjoyable vacation experience and it's great to hear that you appreciated our services! We hope to be welcoming you all back again soon as our guests for another delightful stay with us here on the beautiful Emerald Coast of Florida! 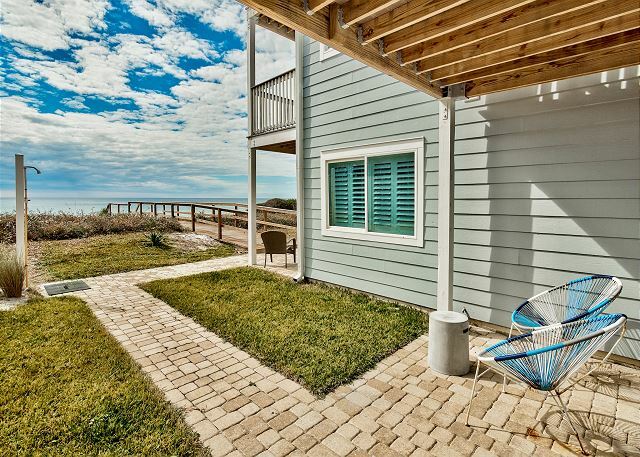 This is a perfect property to getaway and enjoy 30A! The property was beautiful and clean. Great location to Rosemary,Alys, and Seaside. You truly cannot beat staying right on the beach. It was wonderful to listen to the ocean from the living room! Harmony Beach Vacations was great to work with from the moment I booked the place! They made check in easy, and were accommodating when I requested a 1 hour later checkout. I will definitely be back and recommend it to friends and family! Thank you for sharing your review for Ramsgate #1. 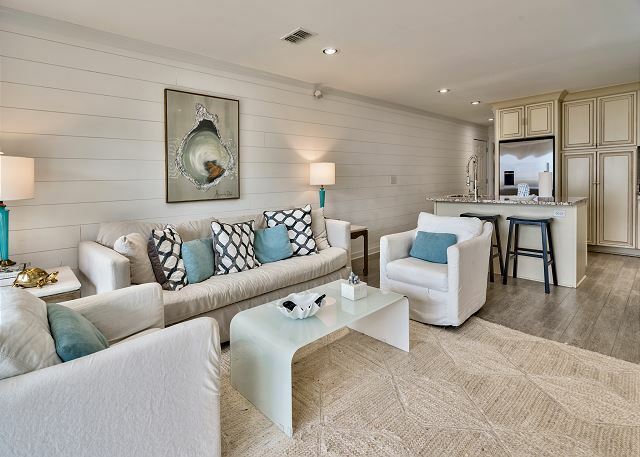 We are so pleased to know that you had a wonderful stay at the beach in this beautiful home and that you so enjoyed the great 30A location, as well as the beach front location! We appreciate your kind words for our team here at Harmony Beach Vacations, thank you! We hope to welcome you back again real soon as our guest for another Florida beach getaway on 30A! Wow! What an amazing property! Completely updated, right on the beach, close and free parking, immaculately cleaned. Can’t wait to come back! Thank you for sharing your review for Ramsgate #1. We appreciate having you as our guest and we are delighted to know that you so enjoyed your stay at the beach in this beautiful home! 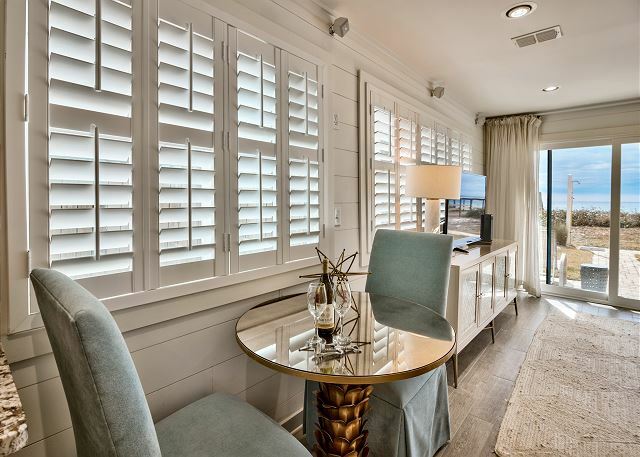 We hope to welcome you back very soon as our guest for another wonderful stay with us here on 30A! We enjoyed our stay at this condo very much. The condo was well laid-out, with many upgrades. We were able to cook our meals with very adequate equipment. Being on the ocean front was a special treat. This was our first time in the area, and we found it offers vacationers a lot to do from beach walking to shopping, golf and great places to eat. Thank you for sharing your review of Ramsgate #1. We are so pleased to know that you all so enjoyed yourselves in this beautiful home, and that you were able to take advantage of all the great area activities! 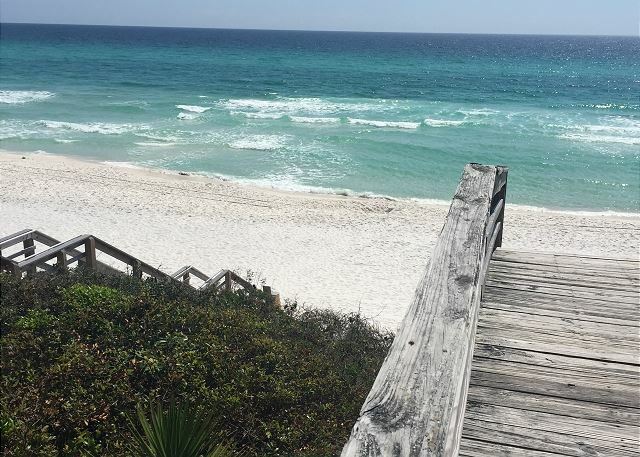 We hope to welcome you all back soon for another wonderful beach vacation stay with us here on beautiful 30A! We stayed in Ramsgate #1 for the first time in November of 2016. We loved the condo so much we booked it again for November 2017. It was just as perfect this time as it was last year. It is super cute and in such a great location. We are already looking to be back next November! Thank you for your review of Ramsgate #1. We are so pleased to know that you all enjoyed your stay in this beautiful home so much that you came again and we look forward to having you back again next year! Great for a romantic getaway. Updated throughout and a simple walk from car to condo to beach. We will be back and would recommend the condo to everyone. Thank you for sharing your review for Ramsgate #1. We are so pleased to know that you all had a simply perfect beach vacation stay with us in this beautiful beach condo! We hope to be welcoming you all back again soon as our guests here on the Emerald Coast! Thank you for sharing your review for Ramsgate #1. We are delighted to hear that you so love this beautiful beach front condo and the great location! 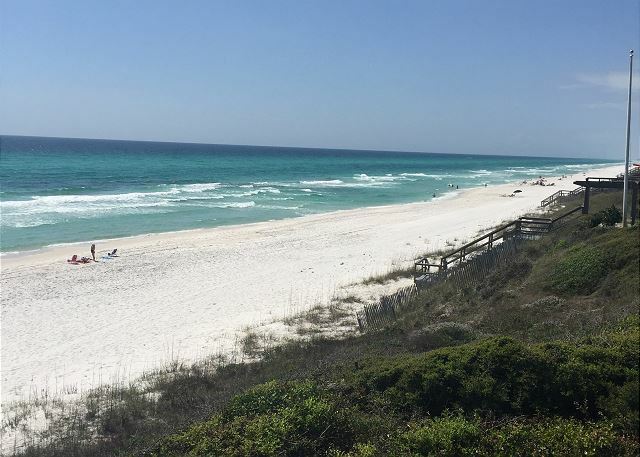 We hope to welcome you back soon as our guest on beautiful 30A here on the Emerald Coast! Thank you for sharing your review for Ramsgate #1. We are delighted to know that you had such a pleasant stay with us in this beautiful home! We are happy to hear that you enjoyed the location, being just outside of the busier areas, yet close enough to still enjoy them if you wanted to. We hope to welcome you back soon for another wonderful stay with us at the beach in your Hidden Beach Treasure at Ramsgate! 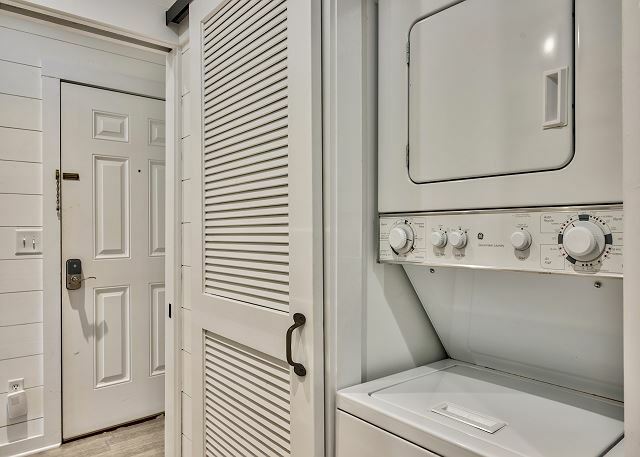 very nice and clean unit, but a few problems with the bed-- needs a new mattress-- hole in the middle. Thank you for sharing your review. We are happy to know that you enjoyed your stay in the area. We are so sorry to hear that the mattress was a problem. Thank you for letting us know. We hope that you gave our office the opportunity to look into this for you as soon as as possible so that we had the chance to remedy the problem. It is our desire for each guest to have a perfect stay with us and we would love to have you back as our guest! Love to get away to Ramsgate! Even when the weather is too cold to enjoy the beach this is the perfect place. Thank you for sharing your review for Ramsgate #1. We are so delighted to hear that you so enjoyed your stay with us in this beautiful home and we hope to have you back soon for another great getaway! Very relaxing, comfortable and enjoyable. ities available and great location. Only suggestion for you to trim the green shrubs in front of the porch door - so that renters can take advantage of the beautiful beach view. They obstruct the view from the livingroom and they are not attractive at all. Bed was a bit too soft - we sank in the middle of the mattress. Thank you for sharing your review. 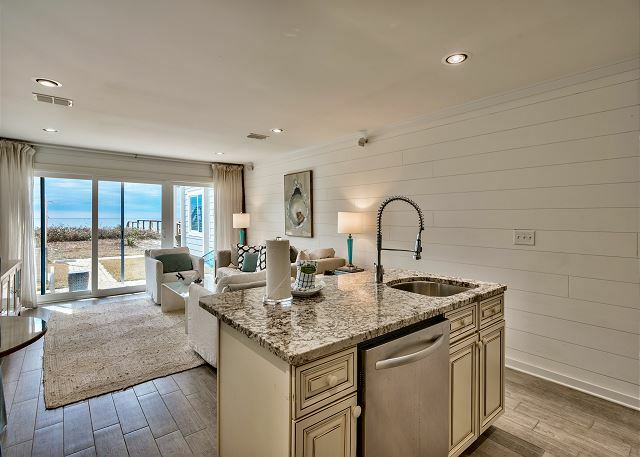 We are happy to know that you all enjoyed this beautiful Beach Front condo! 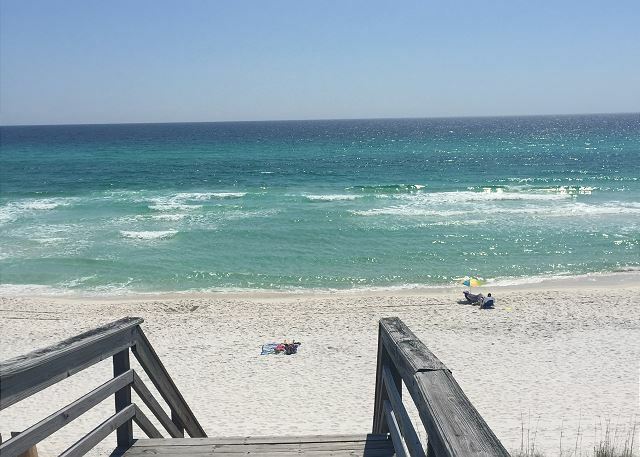 We appreciate your suggestions and we will pass this along to the property maintenance folks as well as we do share our guests' suggestions with the home owners.. We hope to have you all back soon as our guests on the Emerald Coast! My new husband and I booked Ramsgate for our honeymoon for the week. It was absolutely perfect. 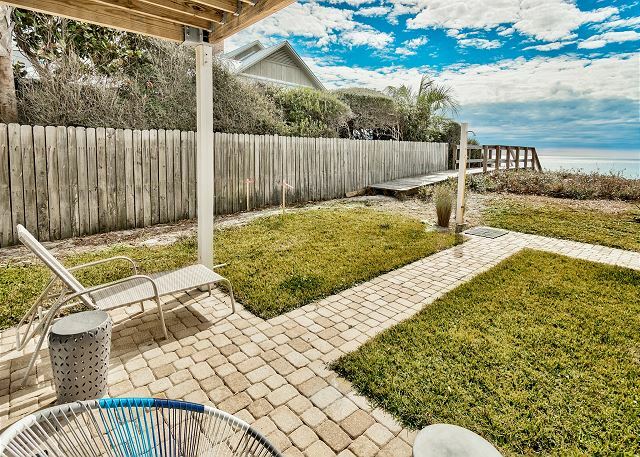 Clean and updated condo, easy access to the beach and close to seaside and rosemary. It was the perfect location for a quiet beach week. Thank you for sharing your review for Ramsgate #1 and Congratulations on your marriage! We are very happy to know that you and your husband had a perfect honeymoon week in this beautiful condo and that you found the perfect vacation spot, perhaps to come back for an anniversary! We would love to welcome you back soon as our guests on the Emerald Coast! I absolutely love this place. Perfect location for a quite week by the sea!! Thank you for sharing your review of Ramsgate #1. We are very happy to hear that you had a wonderful stay with us during your week by the sea and we would be delighted to have you back soon as our guest on the Emerald Coast! Great condo, and location. Had a few problems with the keypad at the condo...got locked out 3 times but did get problem solved..also didn't have any cold water in the shower the first night we arrived (was clogged with sand) they got a plumber out immediately and it was fixed very quickly. Overall nice place to stay. Thank you for sharing your review. We are very pleased to hear that you all had a nice stay with us and that you enjoyed the beach views! We're sorry for the issues you mentioned and we thank you for giving us the opportunity to remedy them for you. We would be delighted to have you all back soon as our guests on the Emerald Coast! Overall we were very pleased with ramsgate1. The staff at Harmony Beach were very pleasant and only complaint is the patio furniture is lacking badly. Thank you for your review. We are delighted to know that you all enjoyed your stay at Ramsgate #1! We appreciate your suggestion about adding patio furniture and we do share our guests suggestions with homeowners so that they can consider guests' feedback when making updates. We hope to have you all back soon for your 5th anniversary! As described, but under construction. The unit was great, however, we were disappointed the property was under construction and we weren't told that this would be the case. A couple of mornings we weren't able to have coffee or exit our back patio due to painters being on it. There was also a lot of noise and commotion due to work being done, which often prevented rest and relaxation and affected privacy. I also picked up several long screws off of the brick walkway, which was a safety risk. We understand that this is a necessary improvement, but it would have been nice to have known or given a discount. As stated, the unit itself was great. Constructive suggestion, we would have loved a way to watch a movie on rainy nights. Thank you for sharing your review. We are happy that you all enjoyed this home and very sorry that there was work being done nearby your condo during the time of your stay. We sincerely hope that you gave us the opportunity to move you to another location where you wouldn't be disturbed. It is our goal for our guests to be able to completely relax and enjoy their beach vacation. We would be happy to have you all back as our guests soon and we are always available to assist with any issues, so that your vacation can be the very best! The condo was beautiful along with great weather. Couldn't ask for a better place to stay. Just walked out our back door to the beach. Have recommended this property to friends. Thank you for sharing your review. We are very pleased to hear that you all had a wonderful getaway during your stay at Ramsgate #1! We will be happy to have you back anytime as our guests on the Emerald Coast! The condo is exquisite. Beautiful layout and décor. Gorgeous decorating books throughout. 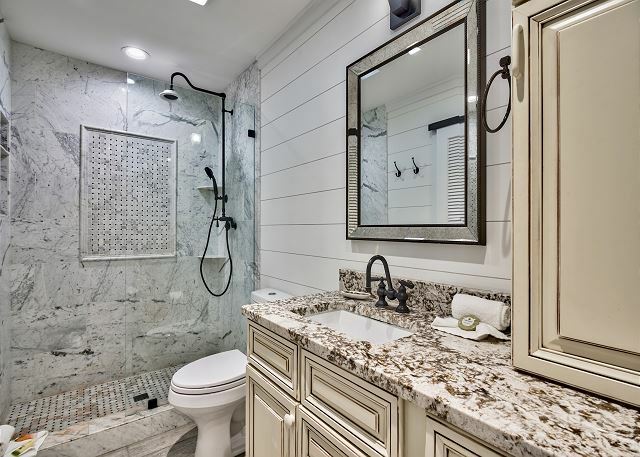 Snuggly bed and spacious shower. DVR was a bonus! 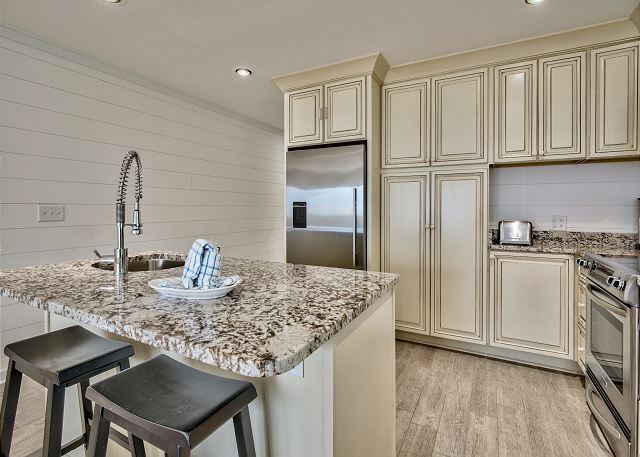 Location is very convenient to many great restaurants on 30-A. Would recommend adding seating on the stairs to the beach since sunset was not visible from the condo. Thank you for sharing your review and suggestion. We are so delighted to hear that you enjoyed this beautiful home so much and we welcome you back as our guests anytime! The only difference that I had with staying here or going to the Caribbean was I didn't have to get on a boat to get back home. This place was amazing! Felt like walking into a Magazine picture. We brought our Paddle Board and kayak and loved it being so convenient to beach. We are so going back!!! Thank you for sharing your review. We are so delighted that you all enjoyed your stay so much and we would love to have you back soon as our guests at the Beach! We very much enjoyed our stay at this lovely condo . Very relaxing . If it was mine I would trim the shrub so you could view the beach more from the patio. Needed a full size mirror and more hooks down walls for hanging towels and bags . Still loved , loved , loved it. Very nice place . Loved the décor . Thank you for letting us share your little piece of paradise . Thank you for sharing your review and suggestions. We appreciate you staying with us and and we hope to have you back soon as our guests on the Emerald Coast! 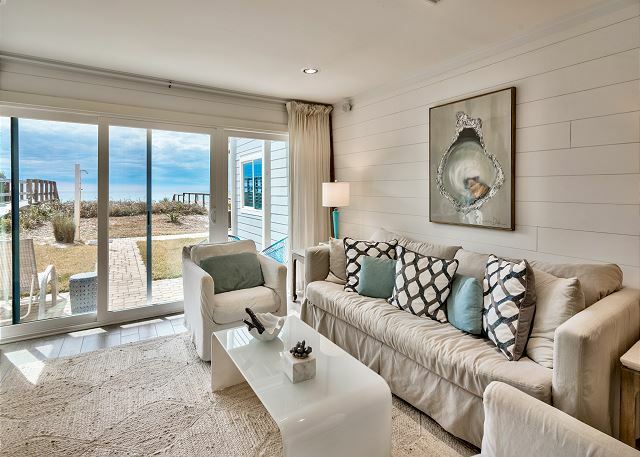 Awesome spot for two, maybe 3, right on the beautiful beach of 30A ... This apartment has direct access from the patio to the ocean... Literally just slide open your back door and walk on out, I like that. The decor topped it off... And the shower ?? I'll be back. When we arrived at Ramsgate 1, we were absolutely thrilled when we opened the door to the unit. The renovations are spectacular. The bathroom shower was the coolest thing I had ever seen. The bedroom was gorgeous and the bed it self looked like something out of a magazine. It was almost 3 feet tall with ultra comfy mattress, boxspring and topper. The duvet was soft and the abundance of great pillows was a treat. 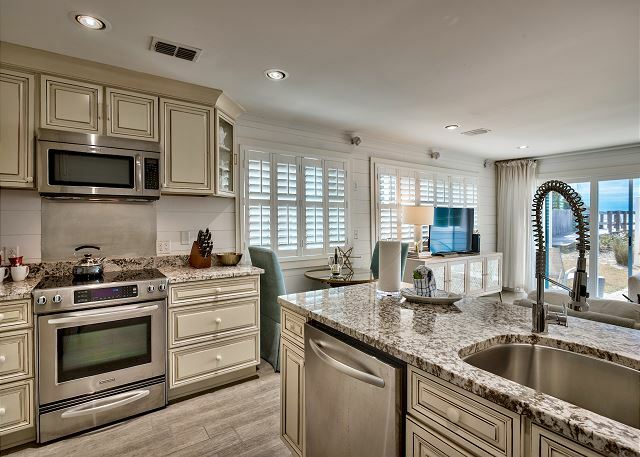 The kitchen was well appointed with full size refrigerator, dishwasher and oven / range. 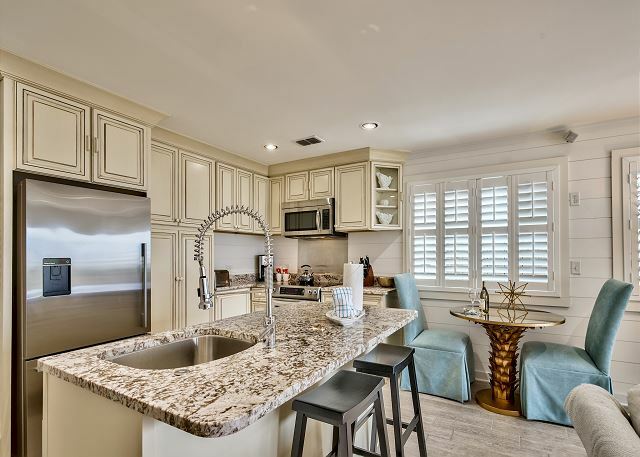 Tasteful granite counter tops and really cool floor tiles throughout the unit. Plush carpets in living area and bedroom were also great. We had one issue with a slow draining shower the first day and the management company fixed it within 2 hours. Very happy and will rent this unit again. Very close to great restaurants and other amenities. Beach almost deserted so we felt like it was a private beach. We were lucky! Able to book a last minute vacation in this condo. Seems like it is normally booked far in advance. 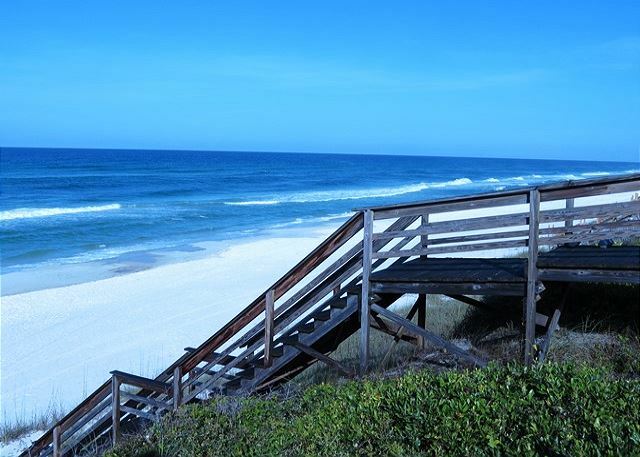 Right on the beach - just have to walk down the stairs to the sand! Condo is completely renovated. Very nice décor, high-end appliances and fixtures, super comfortable king bed. Great for two people. Location is great. We rode our bikes to Rosemary Beach, Seaside and beyond. I'd definitely stay in this unit again!!! Amazing Location, Amazing View and I'd Go Back in a Heartbeat! My husband and I had an fantastic experience at this condo for our vacation. It was in an great location between Rosemary Beach and Sea Side and had a beautiful updated interior. It was clean, comfortable and the perfect amount of space for 1 couple! I especially loved all the West Elm decor. The only thing I would change would be to add a Jacuzzi tub and you'd be set! There need to be more places to hang wet beach items, too (but these are minor details). I would definitely go back to this location as you literally walk out of your condo, down the stairs and you're on the beach! We were close to some amazing restaurants, specifically George's in Alys Beach and The Hub! Highly highly recommend. Ramgate 1 ws a great place to stay. It was beautiful and very comfortable. The beach was perfect. I am looking forward to staying here again. Thank you for sharing your review. We are so pleased that you all had 'The Best Vacation Ever'! and we look forward to having you stay with us again!